Amazing woodblock by Utagawa Kuniyoshi. 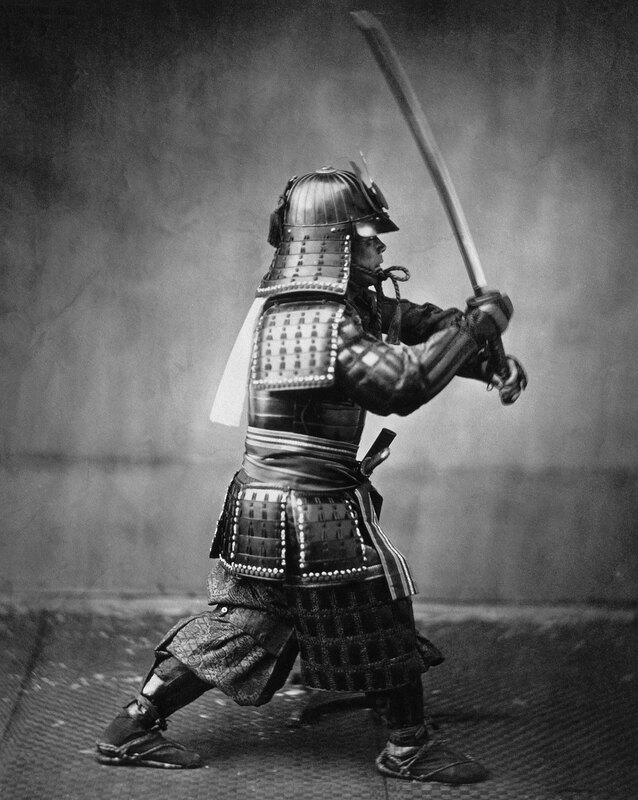 As the story goes, Hatsuhana was a very virtuous woman. 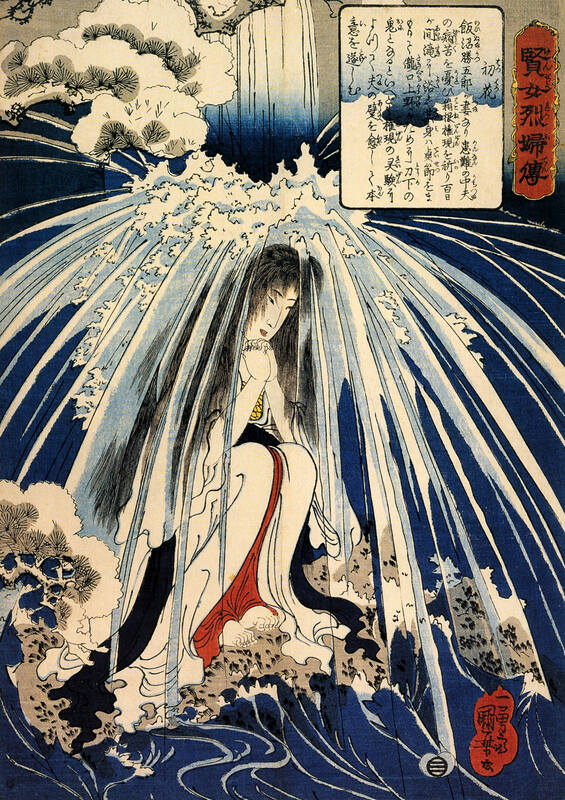 Here she is doing penance under the Tonozawa waterfall for the cure of her son’s knee – but the hardship of the penance proved too much for her and she died. However, her son was miraculously cured. He sought revenge, and kills his arch-enemy near the waterfall. Tenniscoats (テニスコーツ) playing “Baibaba Bimba” in Ebisu, Tokyo, Japan. You’ve got your thick-rimmed glasses, your manga books, your expensive jeans and a couple of t-shirts made of really really nice cotton, but do you have a farting scroll? The database for Japanese and Chinese classics at Waseda University Library has digitised a rare scroll showing a he-gassen (屁合戦), or ‘farting competition’ (see it here in full). Apparently, similar drawings were used to ridicule westerners towards the end of the Edo period, with images depicting the westerners blown away by Japanese farts. Personally, I happen to know first hand that English ones are bad enough, so I’m not sure the Japanese guffs would have worked. My friend Max’s divine wind would have made short work of them. I also once read a book about a dude who travelled the world learning weird local martial arts (pressure points, wrestling, iron jacket, all that stuff), and the weirdest of all was a guy who had deliberately developed halitosis so bad he could knock you out by burping in your face. Japanese director Sou Otsuki has released a new version of his video for the song “Luv(sic) pt.2” by Nujabes with Shing02, featuring a variety of people running ludicrously in slow motion. The new version was shot in Cambodia and stars a few courageous amputees and exploding land mines. Now THIS is what I like to see. Quite simply a staggering piece of engineering. Stop reading this and JUST PRESS PLAY already. You can see the remarkable process in action in the video above, with added mayonnaise too. The sheet, which is made of Teflon, is wrapped around a sliding plate, which is fixed on one end. As the plate moves out underneath, it picks up whatever substance it’s being used on. What happens if you cross a fork with a theramin? Researchers from Ochanomizu University have invented cutlery that makes bizarre “music” when used during meal times, just in case eating wasn’t fun enough already. The eating utensils, known as EaTheremin, create a complete electrical circuit when they come into contact with human body moisture. That in turn creates sound, duly celebrating the food party in your mouth. As the video above demonstrates, the noises produced vary depending on the resistance generated by the food that’s being eaten. The sound is also affected by conductivity, so the wetter your mouth, the noisier the result. Indeed, as the human body is between 55 and 60 percent water, you can put the EaTheremin pretty much anywhere to make a sound. Munching grub that blends textures (like the fried chicken in the video) will create the most interesting results, and the stretchy chicken skin can create a vibrato effect. Unlike the video, however, all your food doesn’t have to be compressed into cylinders. Furthermore, the researchers are keen to expand beyond musical forks to spoons and cups. Utensils used to deal with liquid would make different sounds, and if the electrodes were divided between two objects at once then you could have your own mini food orchestra during lunch.